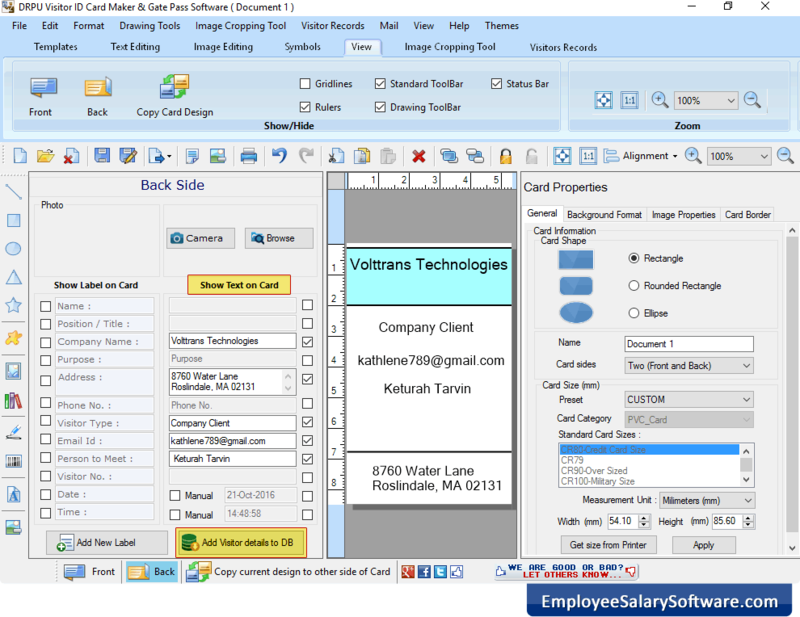 Software provides various Card Design Samples, select any one card sample and enter card size. 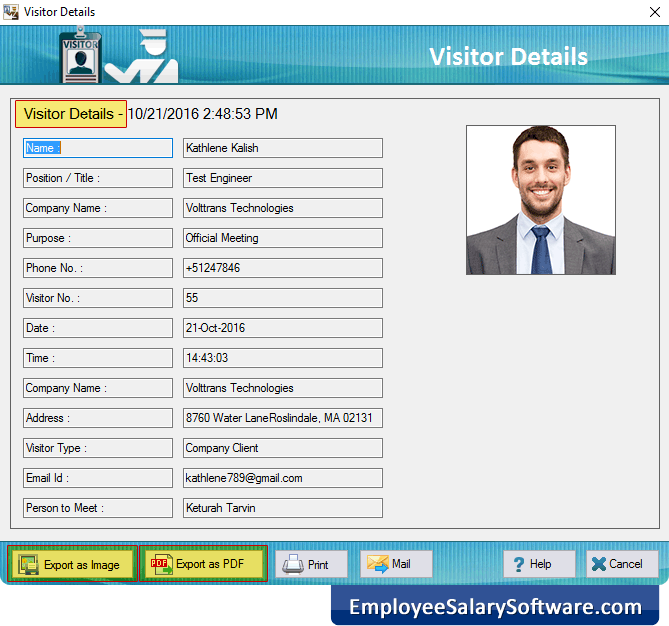 Using 'Show Text on Card' fields, add visitor's information on ID Card. To add photo, you can take picture using Camera option or you can browse path of image saved on your PC. Enter visitor details on Back side of card. 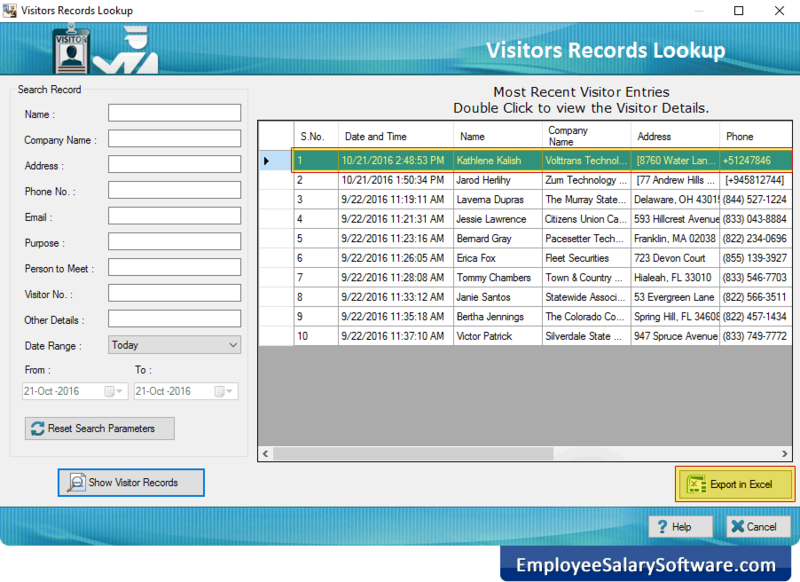 You can also add visitor record to the database for future reference. 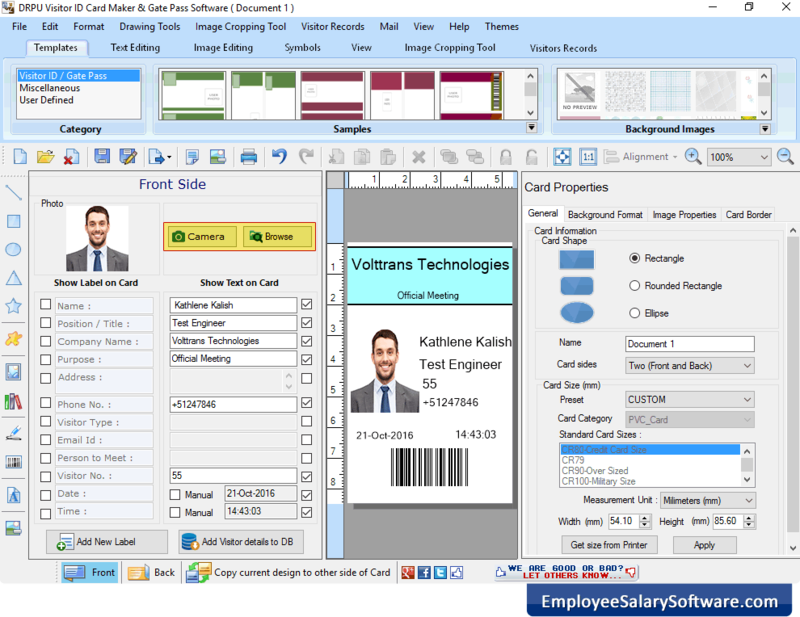 For future usage, you can export or save entire visitors records in excel file format by clicking on 'Export in Excel' button. 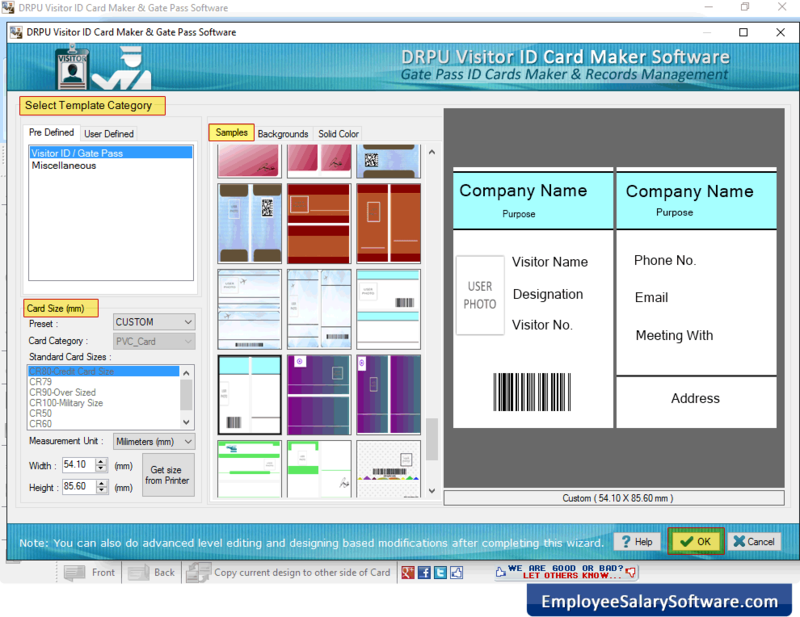 Here you can see the visitor information, you can save created visitor ID card as image and as PDF file format. 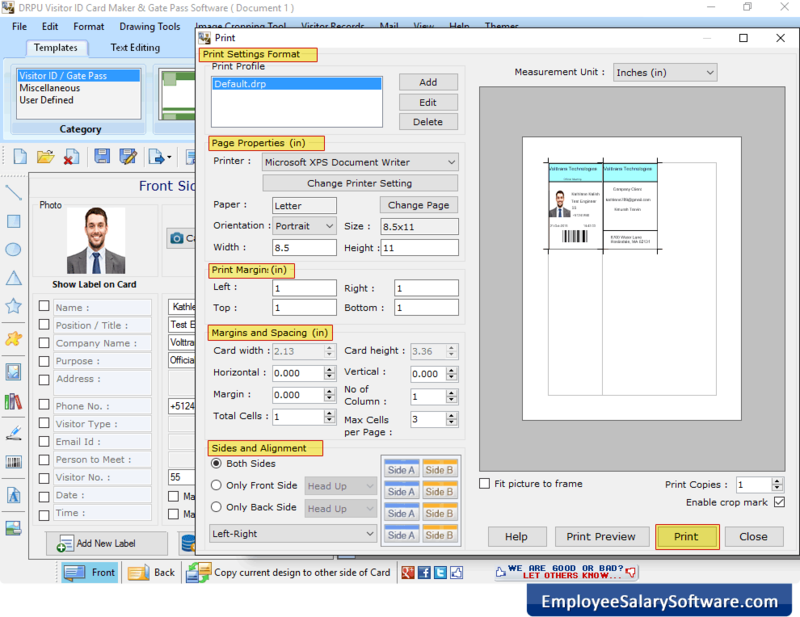 Fill various print settings including Page Properties, Print Margin, Margins and Spacing, Sides and Alignment, and click on Print button to print designed Visitor ID Card.